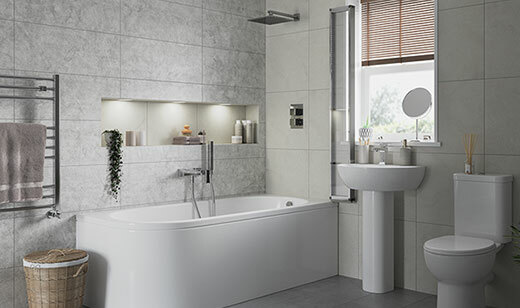 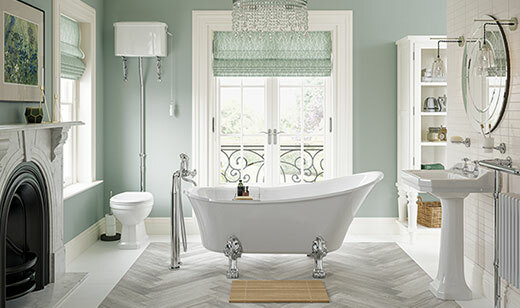 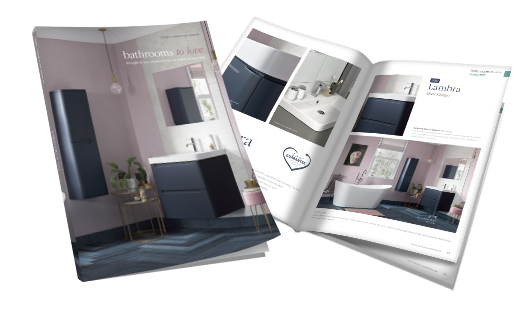 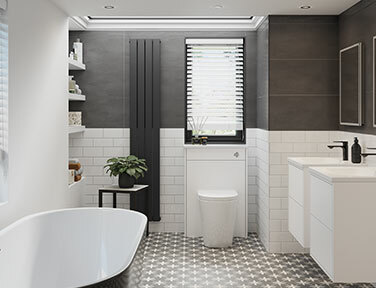 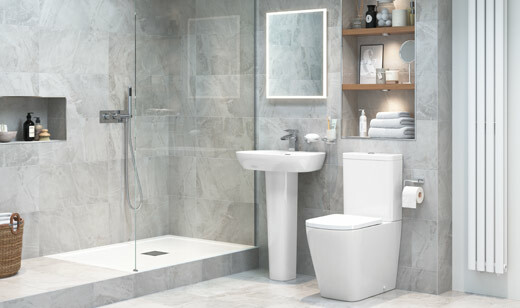 Cedarwood basin with full pedestal, Cedarwood close coupled WC with soft close seat, Edmonton bath, RefleXion 8 wetroom panel, Primo mixer shower with overhead, Molto basin mixer and Calypso mirror. 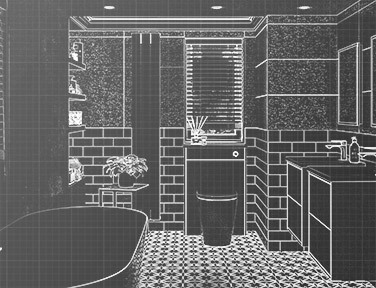 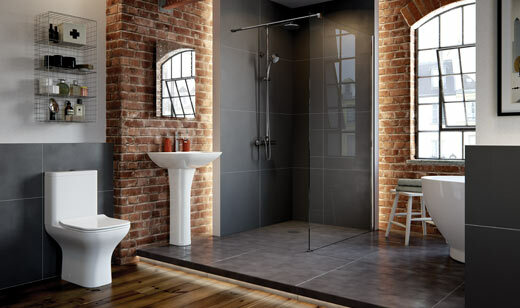 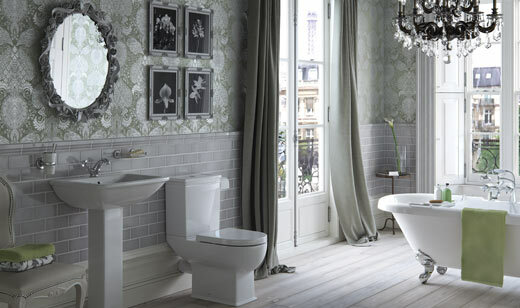 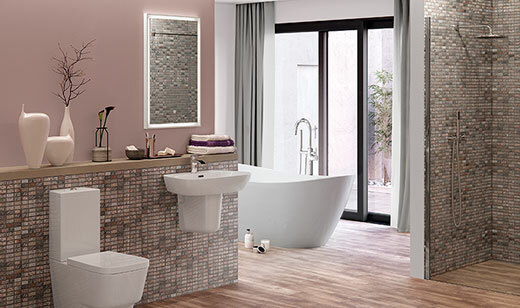 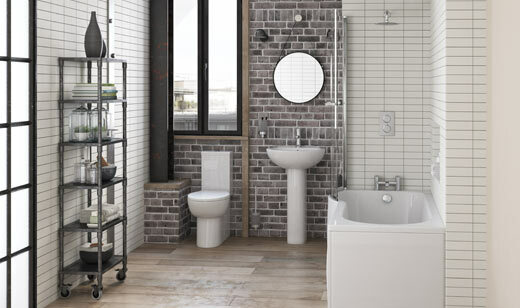 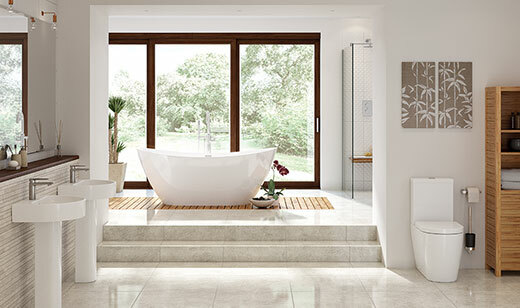 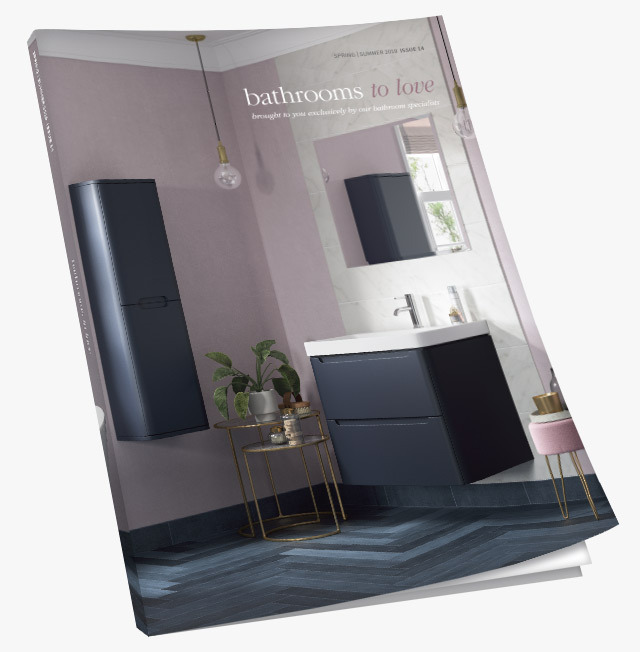 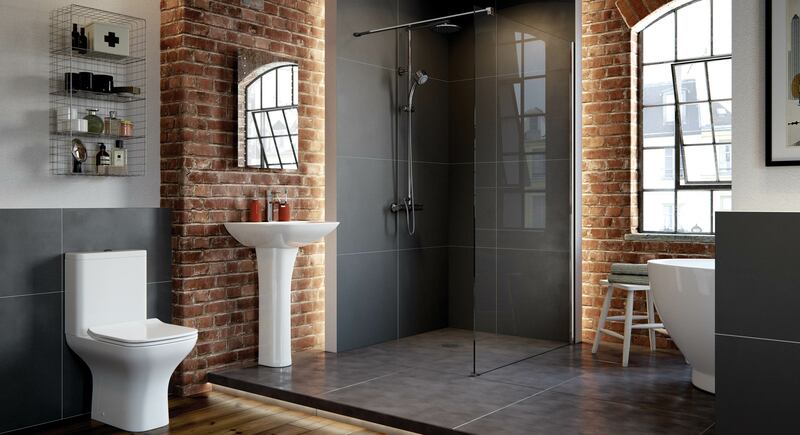 A great space saving suite in a curved design, ideal for smaller bathrooms, cloakrooms and en-suites. 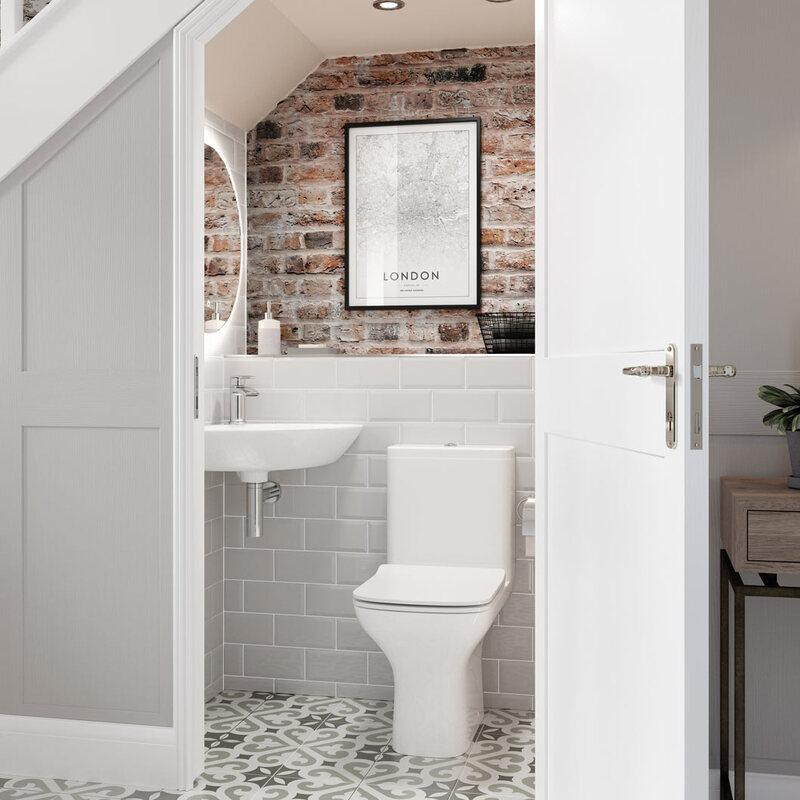 Cedarwood corner cloakroom basin with modern bottle trap, Cedarwood close coupled WC with soft close seat and Cielo basin mixer.